Health workers, teachers and other government employees who may have expected their salary to hit their accounts soon, may have to wait a little longer. 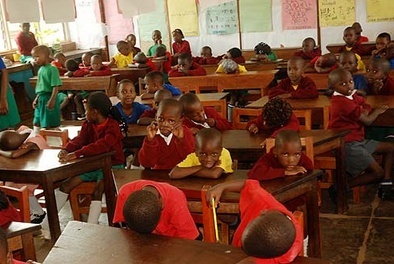 Ugandan students during a teachers strike. Parliament yesterday rejected a proposal by finance state minister Fred Omach to expeditiously approve a sh46b supplementary budget without following the usual procedures. The bulk of the money was meant to cater for salaries for the month of May. According to Omach, some of the employees have not received their salaries since April. Accountant General Gastavio Bwoch said the Government last week released sh120b for salaries, but there was still a shortfall that would be covered through a supplementary budget. He said they would borrow the money from Bank of Uganda and other sources. However, unlike in the past when Government spent first and sought approval later through a supplementary budget, this time, Parliament has to approve the supplementary first before the money is spent. This is because the ministry has gone over and above the required ceiling of 3% of the approved budget. Presenting the supplementary budget schedule II, Omach said the money was urgently needed to resolve the looming financial crisis in government ministries and departments. “Madam Speaker, this is an emergency. There is a crisis in Government. Secondly, we urgently need money to pay salaries for health workers and other government employees,” he said. Omach had tabled a motion seeking to suspend rule 47 to enable MPs to pass the budget without it being scrutinised by the budget committee. If the motion had been passed, Parliament would have constituted itself into a committee of supply, made a report and then passed it. But MPs, especially from the opposition, rejected the proposal, arguing that the supplementary documents had gaps. Speaker Rebecca Kadaga said the document had significant errors that needed to be corrected and sent it to the budget committee. “Let them scrutinise it and notify me when they are ready,” she said.